Tell her what she’s won! We recently hosted a promotion on our Facebook page. The 1000th person to “like” us won a prize package of Wyoming Made goodies! Our winner was Margreet from Ohio. 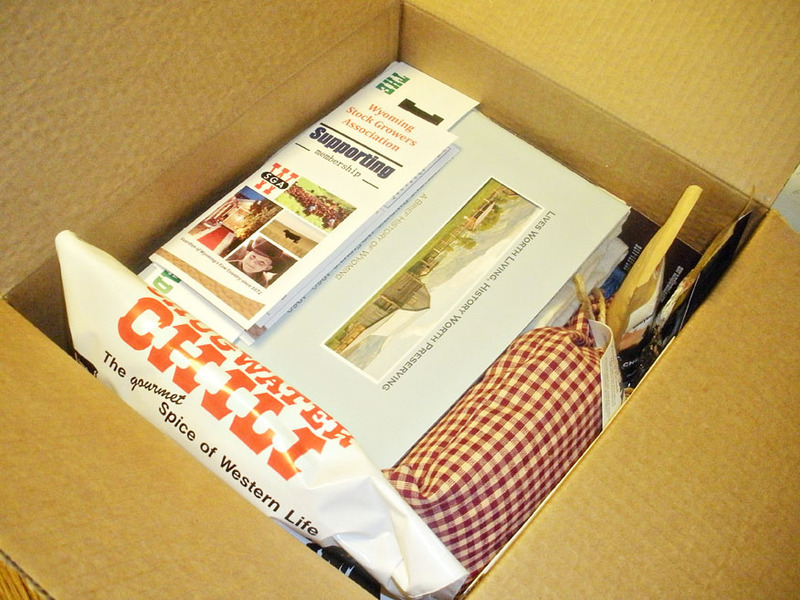 Our 1000th fan on Facebook won a large prize package of Wyoming Made goodies! So obviously Margreet isn’t really involved in production agriculture, but we are so excited that folks outside the industry are connecting with www.realranchers.com to find out what REALLY happens in the meadows, mountains and Main Streets of Wyoming! We started this blog nearly a year and a half ago to help spread truthful stories and correct misinformation about agriculture and rural living. Thank you to these Wyoming Made companies for your generous donation to our giveaway! 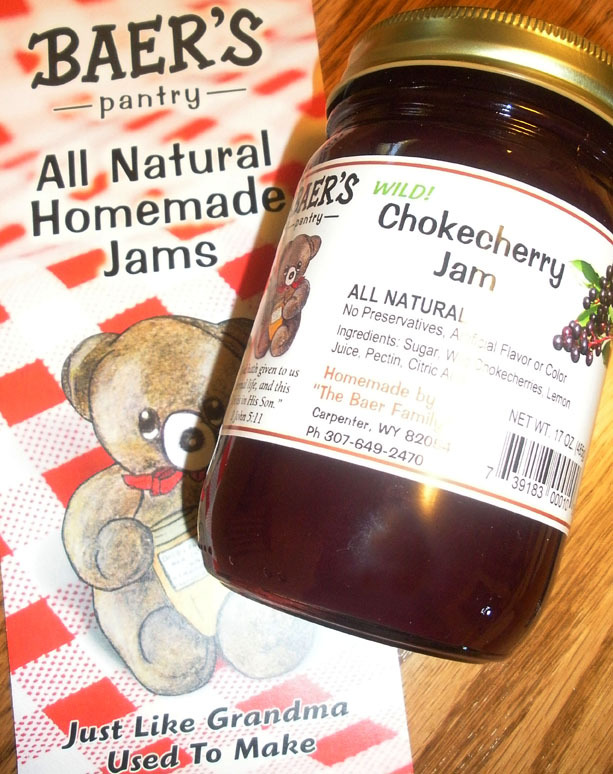 Baer’s Pantry, located in Carpenter, Wyo., offers all-natural homemade jams and Wild Chokecherry Syrup. Smucker’s ain’t got nothin’ on Baer’s! 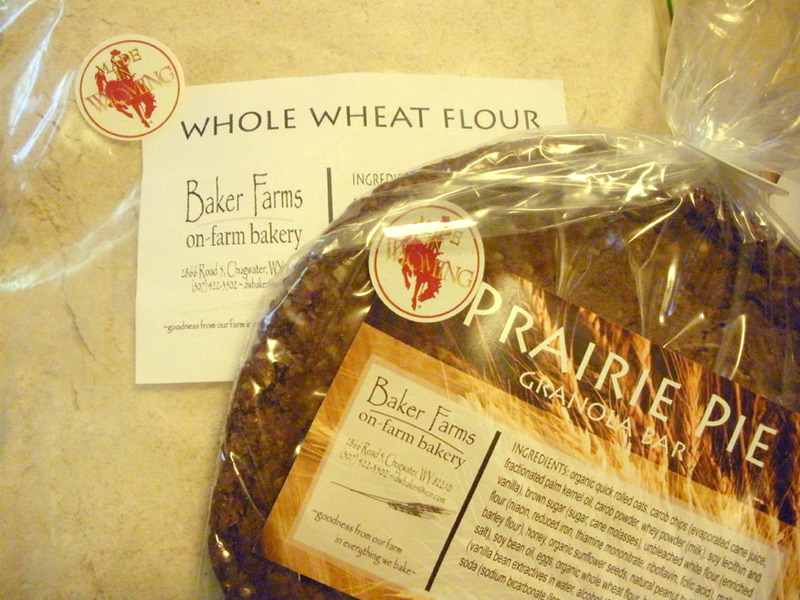 Baker Farms On-Farm Bakery, located in Chugwater, Wyo., makes breads, cookies and organic whole-grain, whole-wheat flour. Contact Dennis & Terry Baker at dwbaker@vcn.com. Their Prairie Pies are unique and scrumptious! 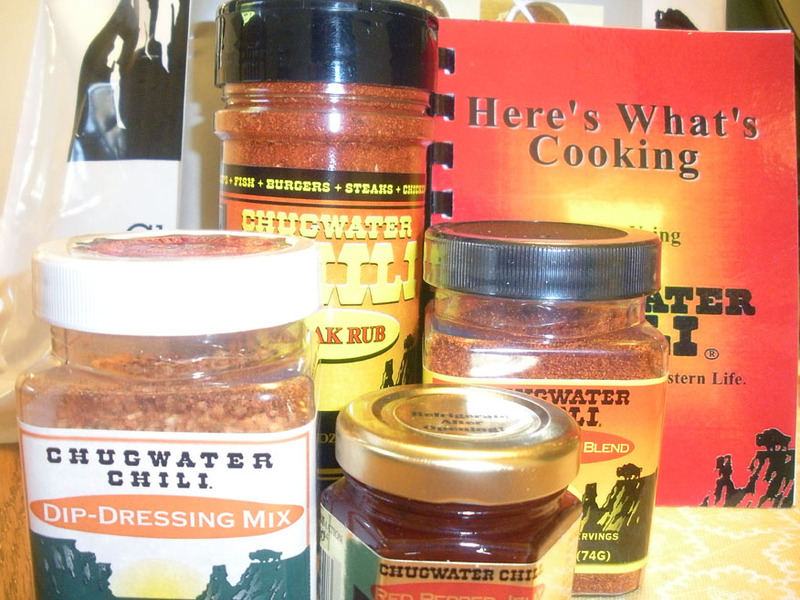 Chugwater Chili Corp., is also located in Chugwater and is near and dear to my heart as my grandparents were one of the founding families. Their prize-winning chili spice blend has expanded to include dip-dressing mix, steak rub and more! 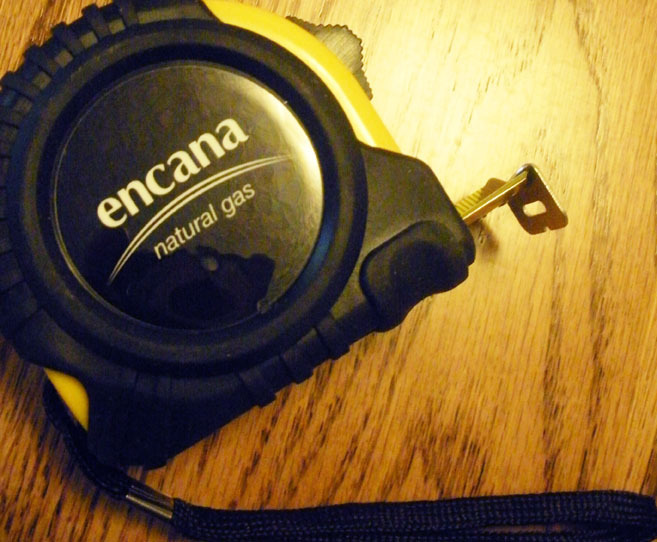 Encana Oil & Gas is an industry leader and very involved in Wyoming. They are a main sponsor of RealRanchers.com and contribute hundreds of thousands of dollars to bettering Wyoming every year. 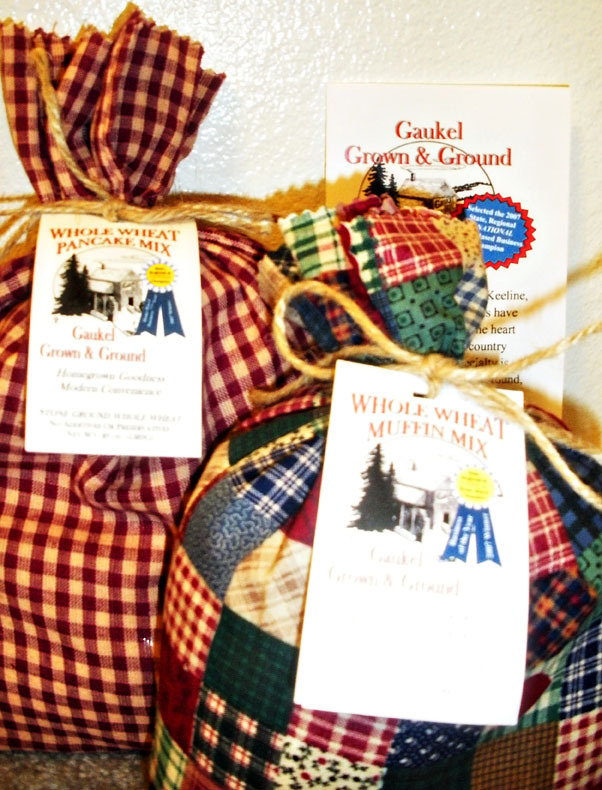 Gaukel Grown & Ground is family-farming at its finest! Kevin, Julie and their children raise wheat at Keeline, Wyo. and create all-natural whole wheat mixes to sell. 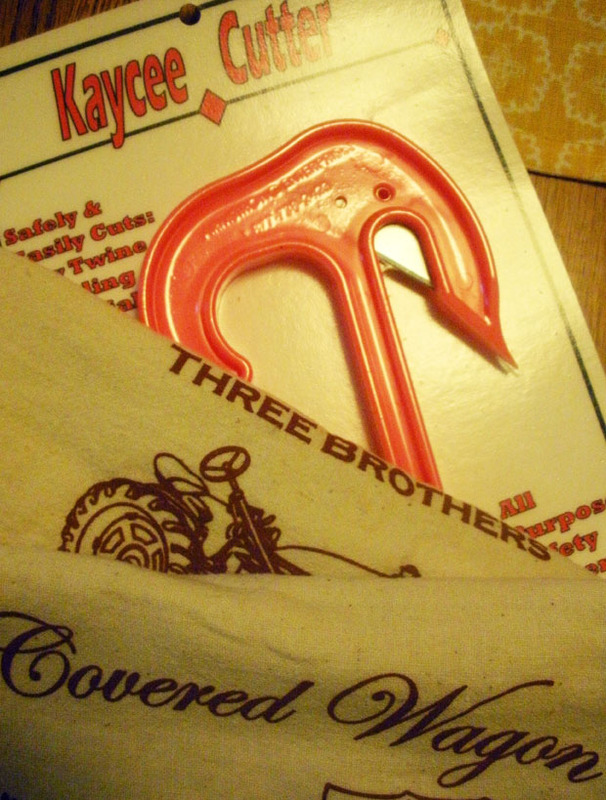 The Kaycee Cutter was invented by Tony Armstrong who ranches with his wife Milisa and their 3 boys in Kaycee, Wyo. 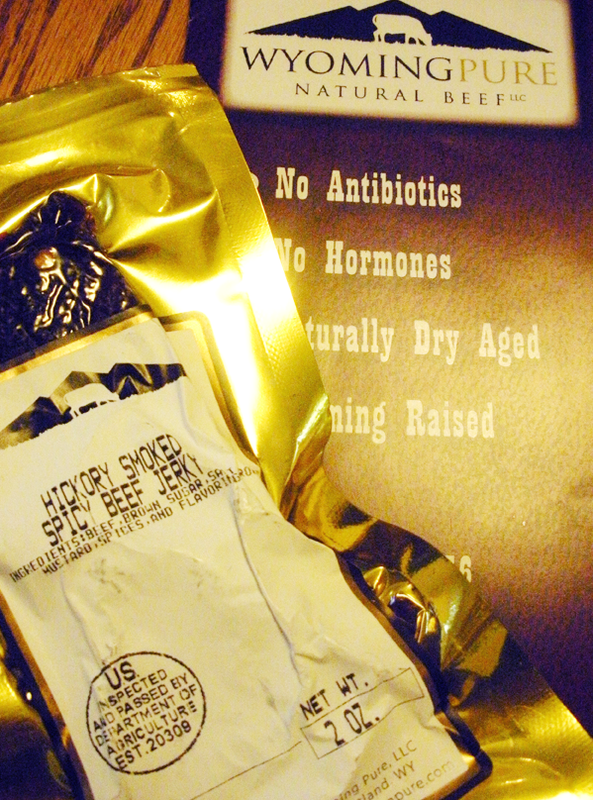 It is made right in Wyoming and packaged and shipped from the ranch. Milisa also has a food blog, www.missinthekitchen.com, where she also sells these 100% unbleached cotton flour sack towels with printed designs. 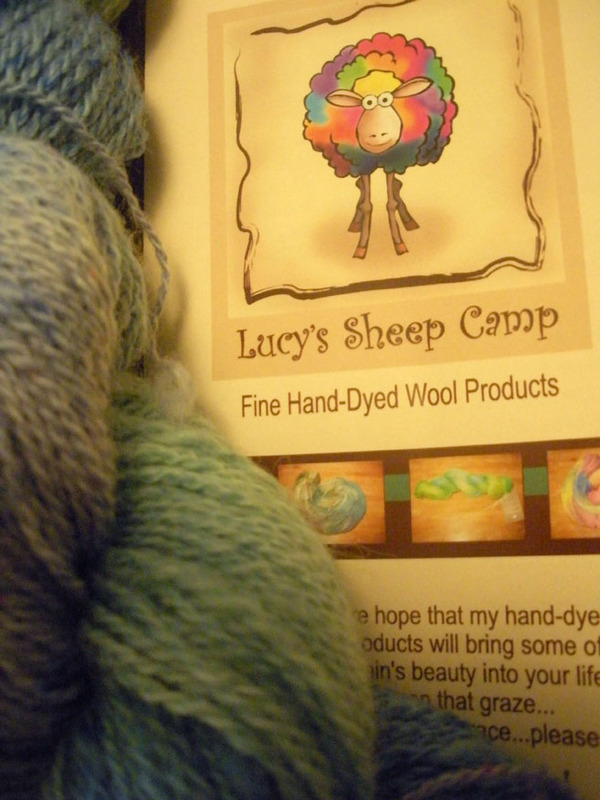 Lucy’s Sheep Camp is located in Thermopolis, Wyo. and run by rancher Billie Jo Norsworthy. She sells high-quality, hand-dyed wool products from her own sheep. Her yarn colors are inspired by nature and will spark anyone’s creativity. 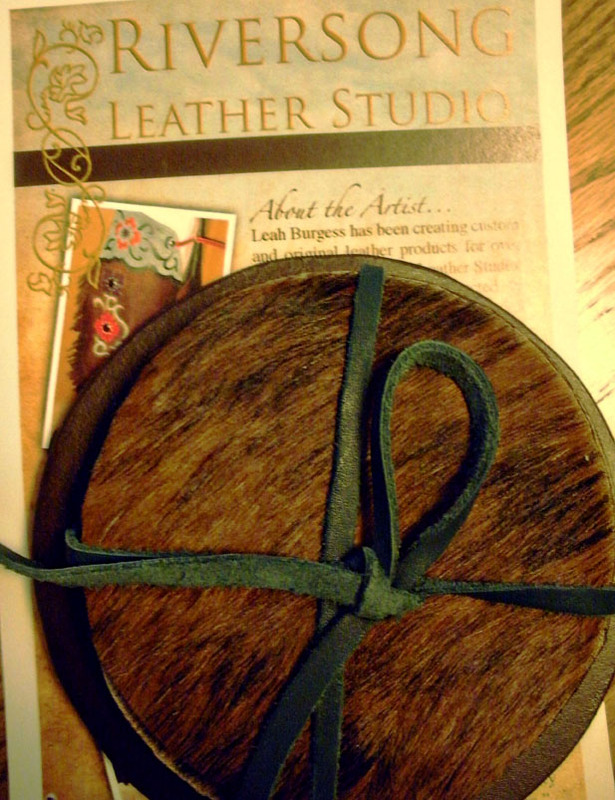 Leah Burgess is the artist behind Riversong Leather Studio in Laramie, Wyo. She creates original designs and custom pieces which emphasize the natural strength and simple beauty of leather. Wyoming Pure Natural Beef is owned and operated by the Goertz family in Slater, Wyo. They produce a high-quality product you can serve knowing that it was handled with care on the high plains of Wyoming. 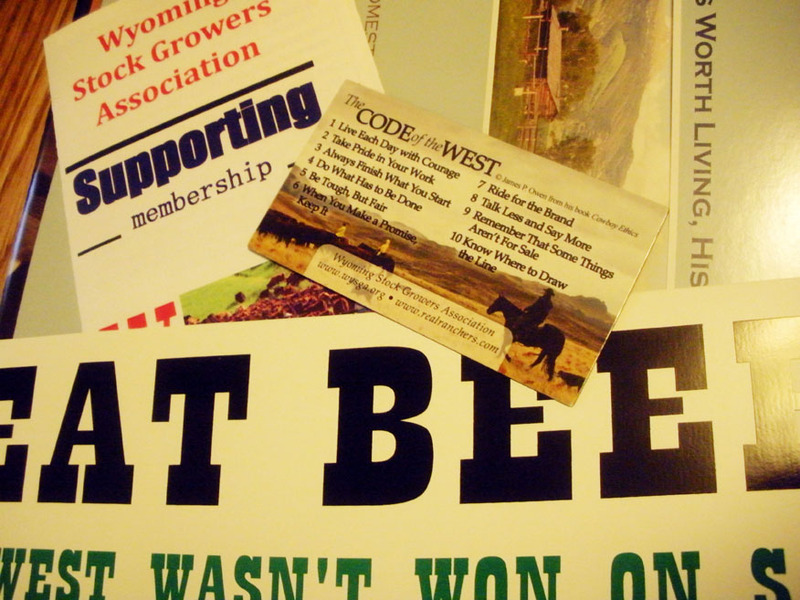 The Wyoming Stock Growers supplied an “Eat Beef: The West Wasn’t Won on Salad” bumper sticker, a “Code of the West” magnet, a Wyoming ranch history book from the Wyoming State Historic Preservation Office and information about the WSGA Supporting Membership. 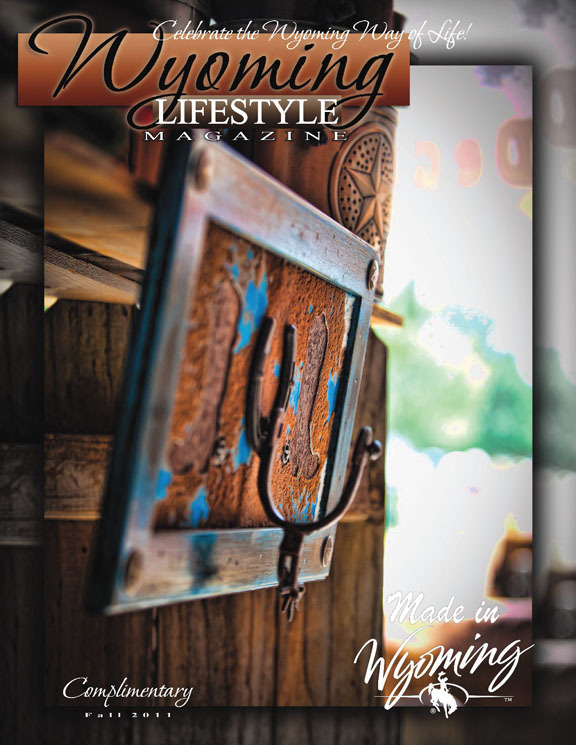 Wyoming Lifestyle Magazine is a wonderful quarterly magazine filled with Wyoming’s Treaures! You can pick them up for free at various places across the state or subscribe for a minimal fee. We also sent some of these goodies to Pam in Colorado as a runner-up prize. Thank you to all our loyal subscribers to the blog, followers on Facebook, Twitter and YouTube! Keep checking back and tell your friends, family, coworkers and strangers on the street about us. It’s great to see all the local donations for your prize. PR for everybody. What a great box representing Wyoming! I love it, thanks for the links! Thank YOU for the beautiful flour sack towels and the Kaycee Cutter! This article relates to the Buffalo FFA chapter in Buffalo, Wyoming. However, rather then winning an item, the chapter donates to local food pantries and is dedicated to Community Service. Youth in Wyoming and in every state are and can be making a difference. Absolutely Bryce! Thank you and your fellow FFA members for all the service they do year-round.